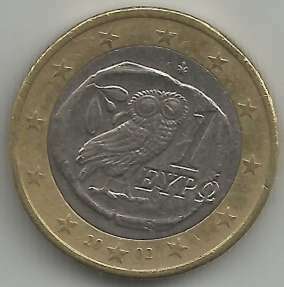 A reproduction of an antique tetradrachma (showing an owl) from Athens about 490 BC. is accompanied with the facial value and encircled by the twelve stars of Europe. 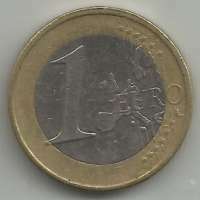 First map was used for coins minted between 2002 and 2006.